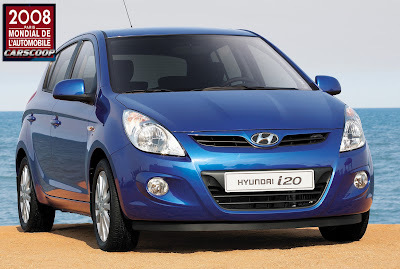 Hyundai Motor India Ltd. (HMIL) on Monday launched its premium hatchback i20. 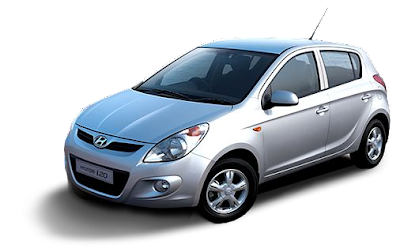 The compact car comes in three variants and is being offered at an introductory price of Rs.4.80 lakh-Rs.5.82 lakh (ex-showroom, Delhi). The company is also planning to increase the prices of its products in January due to higher input costs. 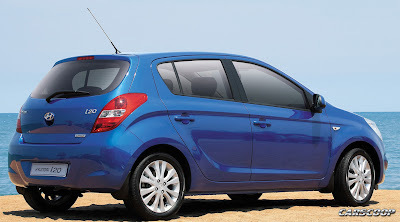 The five-door i20 comes with the new generation 1.2 litre Kappa petrol engine, providing maximum power of 80PS. It is Euro V ready and meets all the existing emission norms. 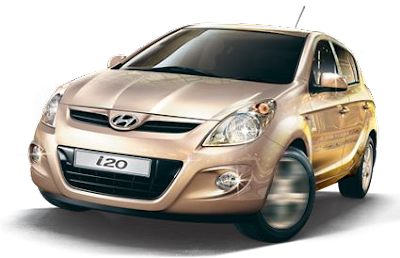 According to Mr. Lheem, HMIL expects to sell 1.2 lakh units of i20 in the overseas markets in the next year, while its target for the domestic market is 20,000 units. 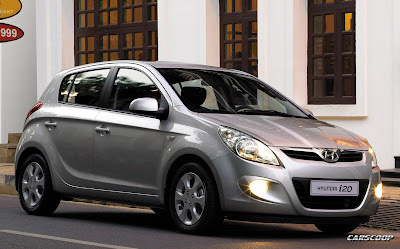 The new car is being exclusively manufactured at its Chennai facility and exported worldwide. HMIL has already started i20 exports to Europe from November. 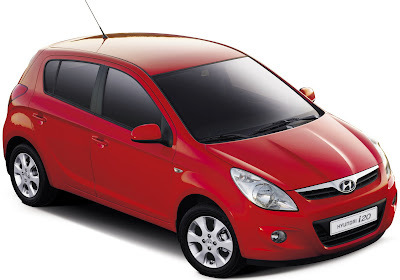 HMIL is also planning to hike the prices of its cars next month, the last being a two per cent increase in June. “Raw material prices, labour costs and other input costs have increased. We are looking to increase the prices by less than two per cent in January,” Mr. Lheem said. Due to slump in demand, HMIL is also not planning to absorb 1,200 trainees as it trims production, though there will be no job cuts. Microsoft has a new certified professional in its ranks -- and she's 9 years old. The girl, from the Tamil Nadu, India, passed Microsoft's exam this week. She's now the youngest person to ever do so, breaking a previous record held by a 10-year-old from Pakistan. Microsoft's Certified Professional exam is designed for IT professionals. As you'll see, though, being ahead of her age is nothing new for this young gal. She explains her story in the video below. A fourth standard girl from rural Tamil Nadu has become the youngest to qualify the Microsoft certified professional examination. The Microsoft exam, usually taken by techies for better job prospects, measures problem-solving skills and Lavinashree (9) passed it with flying colours. By achieving this feat, she broke the record held by Arfa Karim, a ten-year-old Pakistani girl. May you always find serenity in the simple things. YouTube recently launched an exclusive High Definition section for the US users. Users who have access to this section can watch the videos in 720p HD quality. 720p refers to a progrssive HDTV signal with 720 horizontal lines and an Aspect Ratio (AR) of 16:9 (1.78:1). All major HDTV broadcasting standards include a 720p format which has a resolution of 1280x720, however there are other formats, including HDV and AVCHD for camcorders, which utilize 720p images with the standard HDTV resolution. For HDTVs themselves 720p can also have different meanings. While you might expect a 720p HDTV to have a resolution of 1280x720, this isn't always the case. For many flat panel 720p HDTVs the actual native resolution is 1024x768. While these TVs accept 720 input signals (as do all HDTVs) they must downscale horizontally while slightly upscaling vertically to their native resolution, resulting in somewhat lower picture quality. 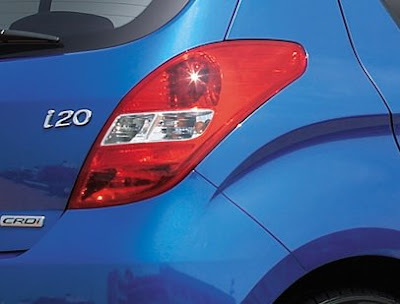 Because it has fewer than half the number of pixels of the other standard HDTV picture format, 1080i, 720p can often include more accurate information for each pixel. This can result in more accurate approximations of the images displayed or higher framerates. While all HDTVs being manufactured today are capable of at least 60fps refresh rates, only 720p has matching profiles for actually encoding video. 720p displays are especially good for viewing most sports broadcasts, which generally originate in this format. For larger screens and new video sources 720p displays provide slightly lower quality than 1080p. Both Blu-ray and HD DVD use 1080p resolution for almost all encoding of the main feature on a disc. 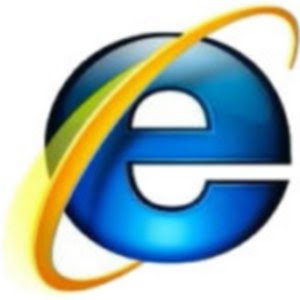 Microsoft is hurriedly putting together an emergency software patch to resolve the issue, but in the meantime if you are concerned about your privacy, we can only suggest that you download Mozilla's Firefox. World War was created by Vincent Chai for his final degree project whilst studying 3D Animation at the University Of Hertfordshire. Australia will be the place of birth for of the second Android-powered smartphone. Sold under Kogan brand, the Agora and Agora Pro devices will sell unlocked for $225 and $295 respectively, without the need to sign a service contract. The fact that these smartphones will be sold SIM-free, provide some hope that domestic customers might be able to get the phone online and simply swap in their existing SIM module, opting for a pre-paid service instead of agreeing to a multi-year service agreement. After T-Mobile's Android G1, the second Android-powered smartphone is set to launch in Australia. 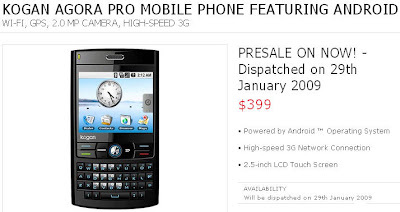 Kogan Technologies, an online-only company, said there will be two versions of the Kogan phone: The Agora and Agora Pro, sold for $225 and $295 respectively. The phones will be sold unlocked at these price points, without the need to sign an obligatory service contract with a carrier. This theoretically leaves an ample space for significant price reductions down the road, if carrier subsidies are part of the equation. Similarly to T-Mobile's Android G1, the 130-gram Agora smartphones have a physical keyboard and a touchscreen. Subjectively, the Agora looks much better than the T-Mobile G1 from a design point of view, with a shiny black casing dominated by a 2.5” TFT-LCD touchscreen on the upper half of the device and a BlackBerry-style QWERTY keyboard below the screen. Both handsets feature FM radio, a music player and Bluetooth 2.0 EDR connectivity, but the differences between them are more striking than meets the eye. The more powerful version of the 3G Agora phone features a GPS module, Wi-Fi networking and Bluetooth connectivity as well as a built-in 2-megapixel camera on the back. The Android operating system that powers the handset brings integration with a host of Google services, in addition to the email client that supports image, video, music and documents attachments and a capable web browser. 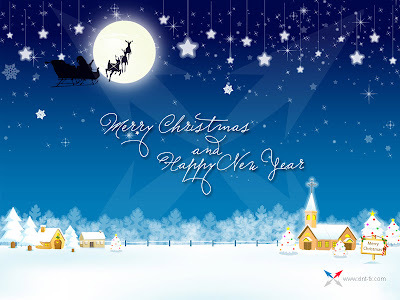 Gmail, Google Calendar, Google Maps, Google Talk and a YouTube video player are all integrated in both devices, as well as Google Maps that supports a detailed map, satellite, traffic and the new street view. Other Android traits known from T-Mobile's G1 are also supported, such as one-touch Google search, uploading YouTube videos, saving web images as wallpapers, an instant dial feature for phone numbers on web sites, a customizable Home Screen with email, as well as SMS and IM notifications. Its less capable counterpart called simply the Agora lacks a camera, the GPS module and Wi-Fi, leaving prospective customers only with a Bluetooth option. This makes Agora's $70 cheaper price point questionable since the lack of connectivity features basically renders the Internet-related capabilities of Android useless. 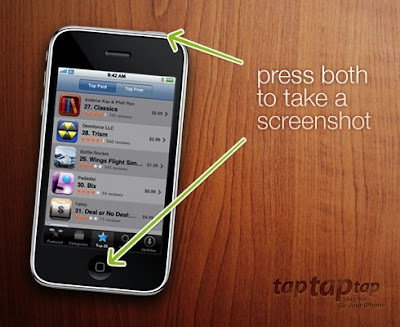 It also cuts the phone out of the Android Market for browsing and installing additional applications over the air. The built-in storage is another concession to an attractive price point since both Agora devices pack only 256 MB of memory, which means users will have to spend extra cash to increase the storage capacity through microSD cards. Both phones integrate a MiniUSB port promise more than six and a half hours of talk time and twelve and a half days of standby time. Since the phone comes unlocked, AT&T and T-Mobile users in the U.S. could theoretically pre-order the handset on Kogan website today and simply swap in their SIM card without paying extra fees or renewing service contract. The company said it is not restricting the handset just to Australia and New Zealand and will instead work with global carriers to make both phones work on any network around the world. Kogan is now accepting international pre-orders for the Agora and Agora Pro here. It didn’t take long before people started hacking away at the T-Mobile G1, the first phone to ship with Google’s Android platform, and now it looks like Google wants to make it even easier. Starting today, Google is offering a development version of the G1 that is both SIM and hardware unlocked, meaning no more nagging at T-Mobile and waiting for ages to receive an unlock code. The bootloader on this version also doesn’t restrict the device to officially signed firmware builds. To nab one of these, you’ll need to register as a developer on the Android Market site, pay the one-time $25.00 registration fee, and slap down $399 big ones for the hardware. Google plans to expand the territories that it’s available in, but initially you may purchase one if you are located in the US, UK, Germany, Japan, India, Canada, France, Taiwan, Spain, Australia, Singapore, Switzerland, Netherlands, Austria, Sweden, Finland, Poland, and Hungary. Google is advising that these dev phones are just that: phones for developers. They’re not intended for the general consumer, as unguided firmware flashing is a quick way to wind up with a fancy paper weight. Speaking of fancy, check out that battery cover. Nokia N97 not only offers features both iPhone 3G fans and BlackBerry consumer users enjoy -- a touchscreen display, full QWERTY keyboard and hefty video and music support -- but it expands on those capabilities with an "always on" browser window and advanced social networking and messaging services. Calling it the "world's most advanced mobile computer," Nokia (NYSE: NOK) debuted its latest high-end device today at the annual Nokia World event in Barcelona, Spain. The 3G device retails for approximately $700 U.S. and will be available in Europe in mid-2009. Nokia's latest offering is set to give Apple's handset a run for its money when it hits the shops early next year. It has a touch screen and a QWERTY keypad to make web browsing and email easy, and it trounces the iPhone when it comes to memory – the N97 has 32GB of on-board memory which can be boosted to 48GB with a microSD card. It also supports the Nokia Music Store and will even show Flash videos.